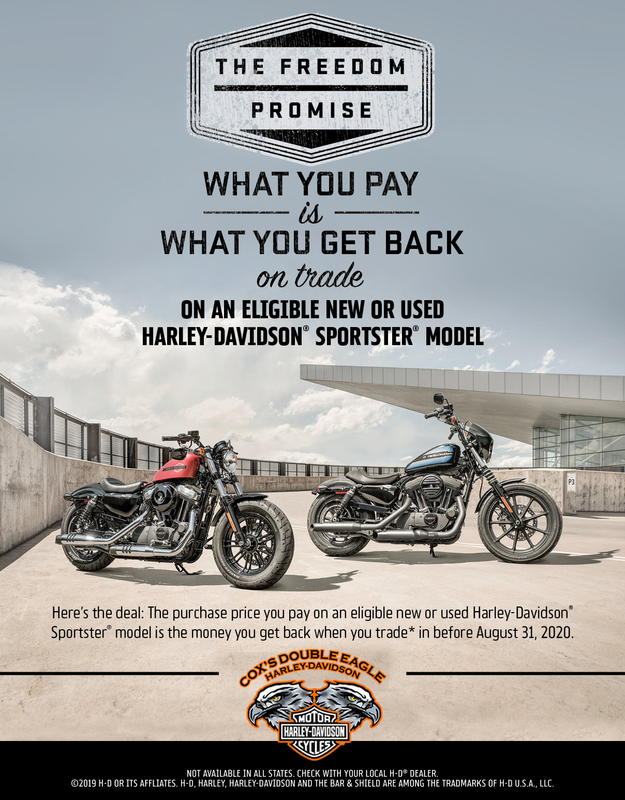 What You Pay IS What You Get Back... on any New or Used Harley-Davidson® Sportster® model. 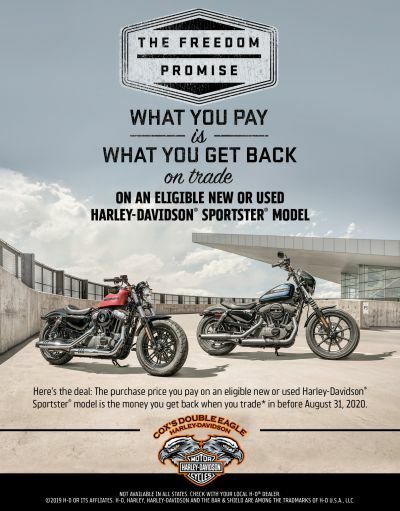 Purchase a NEW or Used (2013 or newer) H-D® Sportster® motorcycle available and in stock between February 1, 2019 and August 31, 2019 and receive trade-in value of original purchase price you pay towards the purchase of an eligible new H-D® motorcycle. Requires trade-in by August 31, 2020. Excludes Police Models. Purchase Price excludes fees, taxes, dealer charges and ancillary products.